On Jun 1, 2018, the Intl. WeLoveU Foundation held a donation ceremony of water purification facility at Mayangone B.E.H.S No.2 located in Yangon, Myanmar. Most schools in Myanmar are operated with the aid from outside organizations due to their poor financial condition. Mayangone B.E.H.S No.2, which is one of them, has about 4,000 students with six grades. Due to the large number of students, the school is operated in two different times–one in the morning and the one in the afternoon. In the middle of the day, 50 to 60 students attend class, packed in one small classroom where it reaches almost 40°C. 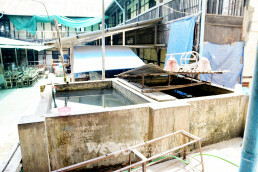 As the water treatment facility broke, the students couldn’t even drink water freely. The old water purification facility that was already installed in school was too small for all 4,000 students and it often broke. It was left neglected because it could easily break again even if they paid a great deal of money to repair it, due to its capacity problem. Due to the financial situation, it wasn’t easy for the students to go out and buy water to drink, and 1/3 of the students didn’t have a bag, pens, or notebooks, which are basic school supplies. When the WeLoveU heard about the difficulties that the school was undergoing, they discussed with Principal Wa Than Myat Thin, and decided to support the school with the water purification facility and school supplies for the improvement of learning environments and promoting future generations, and on May 9, the WeLoveU installed the water purification facility. 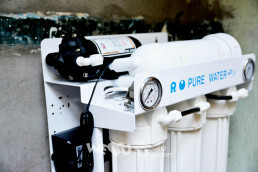 On June 1, the first day of a new school semester, a donation ceremony of water purification facility was held with the students and faculty members participating in it. At the donation ceremony, the WeLoveU gave 20,000 notebooks and 4,000 mechanical pencils to the students. The students’ faces were all smiles as they were now able to drink water freely and even received unexpected gifts. School officials from other schools were also happy to hear that there is an organization with a good will, which does voluntary service with a joyful heart for someone suffering from financial problems. The WeLoveU also expressed its wish for the students in Myanmar to do the voluntary service together and give the gift of the timely rain of hope to other people.